In celebration of our tenth competition, we're revisiting past winners and finalists to see how their enterprises are doing and asking them for advice they would share with those entering this year's EBPC. Osmosis seeks to empower the world’s clinicians and caregivers with the best medical learning experience possible, making it easier to learn, gain, and update medical knowledge. 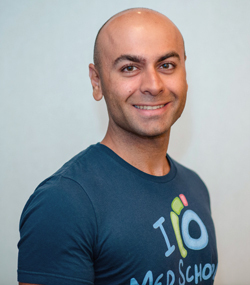 Catalyst talked with cofounder Shiv Gaglani about his experience as an education entrepreneur and his advice for those aspiring to take a similar path. Catalyst spoke with BlocksCAD CEO Solomon Menashi to learn about the company and his advice for aspiring education innovators. Medical education is different than other forms of education because it's vast, high stakes, and always changing. Osmosis views itself as the personal learning assistant to health professionals. We have a best-in-class video library of short engaging animated videos covering everything from atrial fibrillation to Zika virus. Anyone who wants to learn about health and medicine, whether it’s a parent, a practicing clinician, or nursing student, can use our video library. For countless students we help replace long, inefficient lectures with efficient, engaging, and enjoyable shorter videos. The former team from Khan Academy Health and Medicine works with us, and we have great teachers on staff. Subscribers also have access to our learning platform, which makes it possible not only to learn about health information, but also to retain and update that information over time. Medicine is not like math or language, where once you learn it, you know it. There are constantly new guidelines coming out and new drugs being discovered, and professionals have to update their knowledge. My cofounder Ryan Haynes and I were anatomy learning partners at Johns Hopkins with a personal interest in making medical education more efficient. We set out to build a learning platform for ourselves and our classmates, solving our own pain point. Three months into it, we were receiving use requests from our classmates’ friends at schools like Tufts and Northwestern. We decided to dedicate our summer to building an education platform and then to take time off from med school to pursue it as a business. We were selected for the DreamIt Health incubator in 2013 and moved to Philadelphia, which is an incredible city for education and healthcare. The incubator was a great experience. We went from having 200 users when we entered the program to 5,000 when we finished. We applied to the Milken-Penn GSE Education Business Plan Competition in early 2014 because it’s the most prestigious of the education business competitions. It has great alumni and is overseen by the respected home institution of Penn GSE and Bobbi Kurshan, who is a very influential figure in education technology. We were thrilled to win the overall award and the American Public University System Award. What role has the EBPC played in the Osmosis story? The impact Milken-Penn had on our business was significant. It was our first education competition, and it was eye opening. The contacts we made were formative. The judges and other participants are super-impressive people and that gives you a strong network of people, strategically aligned, with what you are doing whether you win or lose. And, of course, the financial award made a huge impact on our company. As a startup, it gave us months of runway. The win also put us on the map. There were great articles about our win in Edsurge and Technical.ly Philly, and we received a lot of inbound interest from investors, even though we weren’t raising money. Our customers, both direct users and institutions, felt validated in choosing us when we were recognized by Penn GSE for our work. What business results are you finding with Osmosis? We have over I million subscribers on Youtube and about 500,000 registered overall users on our platform. Tens of thousands of those are paying customers — nursing, medical, physician assistant, pharmacy, and dentistry students, residents, trainees, and practicing clinicians in the US and abroad who are buying Osmosis subscriptions to get access to more content and more powerful features. End-user subscriptions are our number one revenue stream. We also have over 30 institutions that have purchased institutional subscriptions – schools like University of Michigan, University of Vermont, and international programs like Curtin University in Australia and Lund University in Sweden. And then we also have a mix of sponsorship and advertising revenue as well. What is next for Osmosis? We have an ambitious goal of having educated one billion people by 2025. That clearly isn’t all on the Osmosis platform. We have videos on Youtube. Our schizophrenia video, for example, has been seen over a million times. We are working towards our goal with translation efforts and by expanding distribution channels. Our estimate right now is that our content has been viewed by about 10 million people in aggregate. So we are one percent of the way there! Pay attention to the right metrics. Entrepreneurs often think the fundraise or the award is the validation and forget that the customer is the end goal. Are you making a difference? Are you improving their outcomes? Are you getting more customers because you have a high net promoter score? Never forget that the reason you exist is to solve the problems for the users. I talk to customers every day. Also, don’t forget to enjoy the journey. It’s easy to get wrapped up in the next milestone. But I’ve found the highest satisfaction from working on Osmosis is really the day-to-day with our team. We have a strong company culture, and many coworkers have become close friends. Make sure the people you are with are people you want to be with daily, because you are in the trenches together. BlocksCAD is a web-based software design and modeling tool that reinforces coding, math, visualization, and design as students create models for 3D printing. BlocksCAD was born out of a teaching necessity. Four and half years ago, myself and my co-founder, Jennie Yoder, were teaching a STEAM-focused after school program in the Greater Boston area when the program acquired a 3D printer. As we sought to integrate it into the program, we realized that there wasn’t software available that met the educational standards we were looking to achieve. My cofounder and some of our colleagues wrote our own software, the first version of BlocksCAD, to give our students a robust and engaging experience using the printer and incorporating design and 3D modeling into our class. We soon found that it was doing what we’d hoped: getting students as young as the third grade excited about designing and modeling. It took about 2 years to fully develop the software. In the process of building out the software we discovered that there were teachers around the country and around the world who had the same problem. Makerspaces and 3D printers were going into schools but there was no real forethought about how teachers were going to teach with the technology or how it would integrate into existing academic requirements and standards. BlocksCAD’s web-based software program is free for anyone to use. What we charge for is the curriculum package. Educators subscribe to BlocksCAD for Education and receive standards-aligned curriculum and additional training scaffolding including videos, teacher manuals, lesson plans and alignment maps, as well as the infrastructure for organizing and managing students in the classroom. 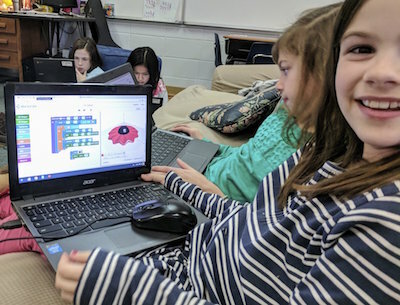 BlocksCAD can address computer science education needs in districts requiring instruction in middle and elementary school. We built BlocksCAD Education around curriculum standards and a project management infrastructure so that schools and districts can provide resources for teachers to teach a wide range of subjects with BlocksCAD – including math standards for students in grades 3 and above. How are schools and educators responding? We focus our sales and marketing attention on district-level sales, though we also have teachers and schools that sign up for classroom or school-wide licenses. We currently have 4 district-wide subscribers and 35 classroom/school subscribers. We did a little over $50,000 in subscription business last year and are projecting around $350,000 for this year. Our actual paid student subscriber base is around 9,000 students. Our registered software user base is around 55,000 students now – 350% growth over last year. We were encouraged to apply to the Milken Penn Education Business Plan Competition by colleagues at the LearnLaunch edtech accelerator program in Boston. We were thrilled to be a Finalist in 2018 in the EBPC. What role has the EBPC played in your story? The competition was a great opportunity to present BlocksCAD to a lot of incredible folks in education and in the edtech space. We had some terrific conversations and follow-ups with investors and other potential networking opportunities within the edtech community. Certainly, being named a finalist provides critical credibility and exposure. Our participation speaks well to our viability and validates the potential of BlocksCAD in the marketplace. What is next for BlocksCAD? Our focus on computer science and math education is the next phase for us. We are focusing on how BlocksCAD integrates into a richer computer science and math experience. We’ve also done some technical developments making BlocksCAD a tool for use with virtual reality technology, which is the next wave of education technology. We are also looking at opportunities to validate our program’s efficacy as a learning tool. It’s difficult because there are currently no recognized computer science educational standards, but it’s something we can pursue within the math curriculum with a greater chance of measurability and acceptance. Make sure you are solving a real problem, that there is a real need and that the need is ultimately being supported by someone who has the capacity to pay for it. You can have fantastic outcomes and teachers that love you, but you can’t be successful if there is no budget. Caribu is an app that helps parents, extended family, and mentors to read and draw with children remotely via a video call. 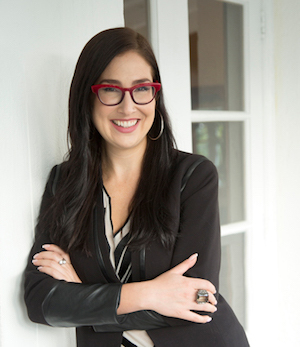 Catalyst sat with Caribu CEO Maxeme Tuchman to learn about her journey and her advice for aspiring education innovators. Tell us more about your enterprise? When children are in the beginning stages of reading and motor skills development, it’s important for them to be co-learning, co-playing, and co-reading with a trusted adult. With Caribu, parents and others can read and draw with children remotely via a video call. This adult interaction makes the experience more rewarding for the child as the adult helps them to sound out words and recognize mistakes. It had long been my intention to get in to Education Technology. I met my cofounder, Alvaro Sabido, on Founder Dating, a social networking site for startup founders in 2016. I loved his product and we decided to join forces. I became the CEO of Caribu at the end of 2016, and we entered the Milken-Penn EBPC in 2017. It was early on and we were still learning a lot about ourselves and the education component of what we were doing. While we didn’t win the competition, I loved the feedback from the judges and the audiences. Milken-Penn was one of the only competitions that recognized we had financial burdens as a small bootstrap startup and gave us a stipend to cover some transportation and travel costs for us to attend the finals. We were so grateful. What growth is Caribu seeing? We get our customers from word of mouth. Parents love what we’re doing and love to share it with friends and family. Caribu sells itself, and we focus our efforts on earned media. We also have a partnership with Blue Star Families, the US’s largest non-profit supporting military families, to donate free Caribu subscriptions to every individual serving in the military, domestically or abroad, for the life of their service. It’s a small thank you for what they are doing for us. Toyota joined this effort by sponsoring 2,000 new military subscriptions. Recently, we were featured in Ink magazine and in a trending video Howie Mandel made a Caribu video call with his granddaughter. We are the market leader in this space with this type of technology. We want to continue that lead, while continuing to grow. We already have users in over 148 countries. We want to continue to scale and grow in all of those markets. There are also more uses for our technology that we’re excited about, and we know that we can grow Caribu into a true learning company that becomes a household name. What role has the EBPC played in Caribu’s story? At Milken-Penn we learned that with an education audience we need to build out the educational component of our pitch – explain more of how Caribu is helping kids learn to read, rather than focusing on parts of reading the audience understands. Every pitch is different and has to be tailored for each specific audience. The competition is first-rate, and it truly was a learning conference. As someone who has been a winner or finalist in 20 competitions, the team at Milken-Penn and the caliber of people they brought in were extremely impressive. Today’s market is very fragmented, and selling to teachers and schools and districts can’t be your only business model. Think of other ways to bring in revenue so you are not relying on outdated procurement systems. Editor's note: Since this interview, it was announced that Caribu was selected as one of eight finalists to pitch their company at SXSW EDU 2019 in March 2019. InferCabulary is an interactive, web-based K-12 literacy program that teaches nuanced vocabulary in a way that actively engages students in using critical thinking in a non-verbal domain. Catalyst talked with co-founder Beth Lawrence about InferCabulary’s journey and her advice for anyone harboring ambitions in education technology. Historically, vocabulary instruction involved introducing learners to definitions with the use of other words and expecting rote memorization. This is not ideal for students already struggling with vocabulary, because encountering a word once or twice in context gives a shallow understanding of the meaning and does not allow the reader to then correctly use the word in context. InferCabulary curates visual content to mirror what it’s like to encounter words repeatedly over months as if the child were an avid reader. It instantaneously gives students six to ten encounters, and then they infer the meanings by finding a common thread among related images. We then met with experts at Johns Hopkins Hospital to gauge interest. They gave us a huge thumbs up, and that changed our lives. 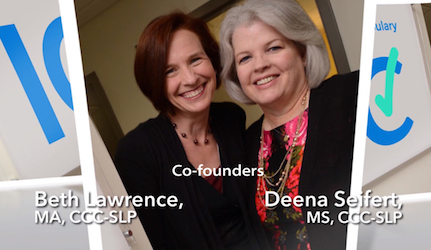 We were speech pathologists with no business background in this totally new world, so we applied to Towson University’s TU Incubator in 2015 and to the Milken-Penn GSE competition in 2016. The EBPC is prestigious and comes with a cash reward, which is very helpful when you’re bootstrapping. It was a good way to show people who we were and the impact we were trying to make in education. The competition was nerve-wracking and thrilling. The opportunity to share our baby with this prominent group of people was really wonderful. And then to win a prize was so fulfilling. Can you tell us more about your enterprise? One of the first things Deena and I did was to seek out independent research to test what we were doing. We wanted to know if we had something valuable. The University of Virginia did a study that is scheduled to be published in February 2019. Comparing quiz results of students given business-as-usual instruction, best-practices instruction and completely independent use of InferCabulary, they showed that kids using InferCabulary scored far higher on quizzes applying vocabulary in a new context every single week. The impressive results triggered a much larger study now being run at Virginia, Vanderbilt and American University with over 700 fourth graders in four states. What business results are you finding with InferCabulary? In 2016 when we were in the EBPC, we were still in development. Since then we have over 10,000 paid users and are in 100 schools, with district-level pilots in several states. InferCabulary is visual and does not focus on the use of language to teach language to kids who struggle with language. This approach makes sense for a large variety of users. So we work with rural, urban and suburban public districts, second language-learning populations, Title I schools, private schools for kids with dyslexia or learning disabilities as well as top college prep schools. We also service a Montessori school in Hong Kong, a missionary school in Ecuador, and a school in Canada’s Northern Territory where they film Ice Road Truckers. We’re proud that 98% of our customers from last year renewed and expanded their pilots this year. And we’re also excited to be in discussions with some potential distribution partners interested in what we’re doing and in helping us expand our reach. What role has EBPC played in the Infercabulary story? Prior to EBPC we had some organic growth. Schools we’d worked with in our private practices signed up for pilots, and we were beginning to be known in our area. When we went to Philadelphia for EBPC it propelled us to another level. It’s prestigious to be chosen as a finalist to compete at the EBPC event and it’s an asset to have access to that network. We competed with people from around the globe and saying we’re winners of the Milken-Penn GSE EBPC has been invaluable. Two years ago, we came back as judges and it was a great experience to see the competition from the other side. Seeing who was applying, learning about so many amazing, talented companies and then seeing how many people get weeded out you see how the finalists really are the cream of the crop. It’s impressive. Make sure your product or service solves a real problem in the classroom. Make sure you have an implementation plan. If schools buy it and it sits on the shelf and doesn’t get put to use, you’re not going to get brought back next year. I also can’t emphasize enough the need for research. It’s time-intensive to get independent researchers interested in what you’re doing, but the external validation is so valuable. 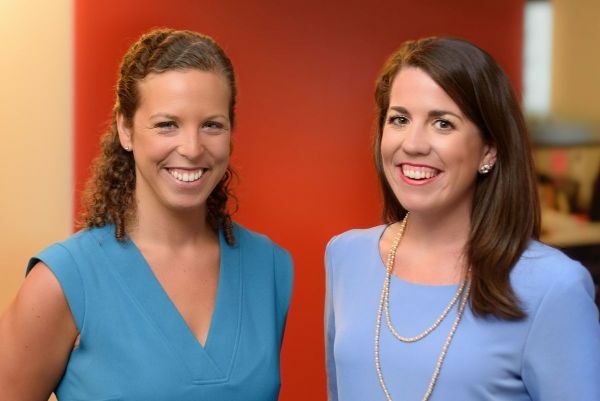 Editor's note: Since their win, InferCabulary co-founders Beth Lawrence and Deena Seifert went on to create Communications APPtitudes, a suite of research-based testing and tools for educators, specialists and parents including their Test of Semantic Reasoning (TOSR). 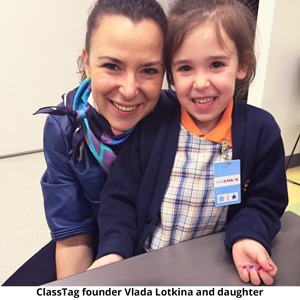 ClassTag was incorporated in 2015 and our operating years was the 2016-2017 school year. Through business connections, I connected with David Blake of Degreed. I was impressed by how much he had accomplished in his founding process, and the credit he attributed to his success to the Milken-Penn GSE Education Business Plan Competition. This inspired our interest, so we participated in EBPC during our launch year. It was early days and our first competition. Our goal is to improve parent attendance at conferences, school functions and volunteering opportunities and to track it through the platform. We work with all kinds of schools, including Title 1 and Charter schools, which often struggle getting parents to engage. Another core benefit is improving teacher satisfaction - and we’ve found it can be life-changing for teachers. Tell us a bit about your enterprise. MentorPro is a management tool for web and mobile devices that optimizes and coordinates the feedback process between mentors and teachers - supporting the teacher’s professional development. strong>What role has the EBPC played in the MentorPro story? For us, the Milken-Penn GSE competition was the validation of our idea. It is great when someone trusts your team and your idea. The competition gave us the impulse to keep creating MentorPro. It also helped generate some press coverage, including an article on the EBPC award we received in May in the Chilean newspaper, El Mercurio. What have you been up to since winning the competition? We now have our MVP (minimum viable product) ready, which is awesome. We're going to start piloting in March, when the school year starts here in Chile. We've met with Enseña Chile (from Teach for All global network) and Universidad del Desarrollo to pilot with their mentors and supervisors. And we're creating alliances with Chilean schools to pilot as well. Our plan is to pilot during the first semester of 2019 (from March to June) and then, after the Chilean winter break, start selling during the second semester. Two weeks ago we were informed that we won a national competition from The Chilean Economic Development Agency (CORFO). We received around $35,000 dollars in government funding which we'll use to develop our app. We encourage everyone to participate, even when you have just an idea or an initial prototype. Just being part of the competition will make you think and re-think about your plan, your business model, and your strategy. It certainly makes you grow. So go for it and apply - you won't regret it! 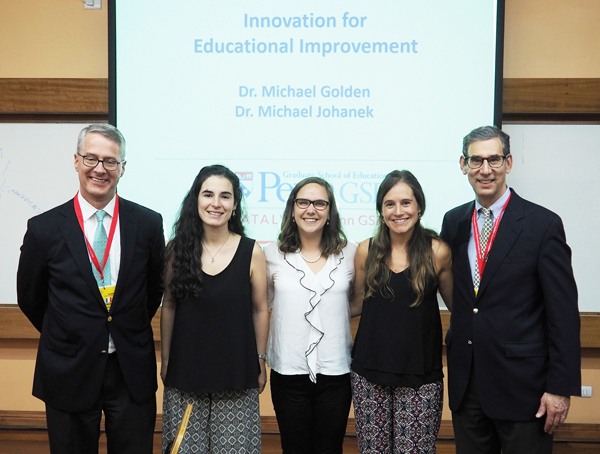 Alexandra Meis and Miriam Altman won the 2014 EBPC Grand Prize for their business plan for Kinvolved, a New York-based startup aiming to improve student attendance and reduce chronic absenteeism. Catalyst recently sat down with these two dynamic entrepreneurs to discuss their journey and the advice they have for others pursuing their dreams in the education ecosystem. Catalyst: How did you come to enter the EBPC? Meis: Miriam and I met in grad school at NYU Wagner. With my background coordinating patient care for children at an Autism Treatment Center and her experience as a public high school teacher, we both recognized the importance of family engagement in any program seeking to alter student behavior. Altman: Our common experiences and shared passion to make a difference drove us to study the problem of absenteeism and develop a framework for a solution and a model. In 2012 we entered and won a Fels Institute policy competition at Penn. With the funding we received, we were able to launch a Kinvolved pilot. This, then allowed us to enter – and eventually win – the EBPC. Catalyst: Can you tell us more about your enterprise? Altman: Kinvolved combines technology — our software tool KiNVO — and human interventions to recognize external factors affecting student attendance and then aims to change behaviors to increase student success. Meis: Traditionally, parents only hear from school when their child is absent or late. While Kinvolved schools provide that information, we couple it with encouraging positive updates on attendance and behavior, translated for two-way communication in over 65 languages. For example, a parent speaking Haitian Creole gets both attendance information and positive updates by text message in their own language and can write back. This early engagement helps reduce absenteeism. Altman: Early on we recognized that technology alone will not solve our deepest educational problems. Therefore, when a school district signs with Kinvolved, we provide teachers and administrators with coaching and professional services focused on developing relationships with families and using the KiNVO software empathetically to complement the data analysis. Our coaching helps shift the narrative from merely recording the existence of chronic absenteeism and tardiness to understanding why a student is late to period one every day so that the educator can work with the family to make a change to address the underlying cause. Catalyst: What results are Kinvolved schools seeing? Altman: According to our impact studies, attendance at Kinvolved schools improved at a rate 13 times better than peer schools within the same districts, even though Kinvolved schools serve students at a higher risk for chronic absenteeism. Catalyst: What role has the EBPC played in the Kinvolved story? Meis: The win came at a time when it was proving difficult to find funding and being endorsed by the recognized brands of University of Pennsylvania and Milken has been invaluable. We also appreciate the workshops, networking opportunities, feedback and support from the Penn staff, and are particularly thankful to Bobbi Kurshan, who oversaw the competition and has since given letters of support for broadening our endeavors. Altman: In 2014 Kinvolved was executing a pilot program with 20 schools around New York City. Today we work with 150 New York City schools, and in the past 18 months have grown beyond New York and are working in seven states and the District of Columbia. We’re looking to double the number of students we support across the country in the next year. The more students we can reach, the greater impact we can have. In November 2018, we raised $1.54 million in a seed round led by the Draper Richards Kaplan Foundation, a great step in helping us reach our goals. Catalyst: What advice would you give to aspiring education entrepreneurs? Altman: Develop a business model early and establish product value through monetary exchange rather than offering your product for free and figuring out the revenue value later. Meis: True systemic change in schools and districts takes time. It's our responsibility to make sure we strive toward ensuring that every child, regardless of his or her zip code, has an equal opportunity to education and a chance at a high school graduation.